When is Rosh Hashanah Celebrated? Rosh Hashanah, or Jewish New Year, commemorates the creation of man and is considered to be one of the holiest holidays in the Jewish calendar. 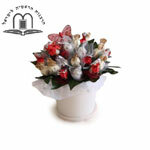 It is based on the Biblical holiday Yom Ha-Zikkaron, which is discussed in the book of Leviticus. Jewish New Year is a two day celebration that begins on the first day of the first month of the Jewish calendar. 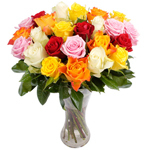 It is believed to be the anniversary of the creation of the first man and woman, Adam and Eve, and the holiday celebrates their actions toward the realization of mankind’s role in God’s world. Thus, during Rosh Hashanah, people attend special services in synagogues, meditating on the mistakes made in the past year and planning for self improvement in the following one. Rosh Hashanah is a time of sweet celebration, and the food traditionally prepared for Jewish New Year reflects that. 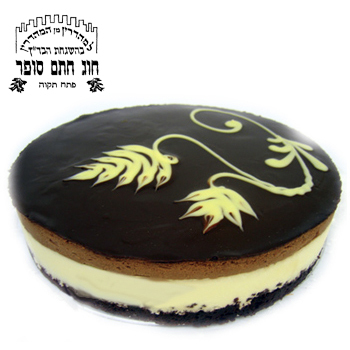 Jewish people refrain from eating sour or spicy food during the holiday and instead prefer sweets. Sweet foods are supposed to remind people to think forward to an upcoming year full of sweet promises, hopes, and potential. Similar in meaning to the way that the non-Jewish world cracks open bottles of champagne on New Year's Eve, Jewish people celebrating Rosh Hashanah eat apples dipped in honey, a symbol of hopes for a "Sweet New Year." Other traditional foods on Jewish New Year include dates, black-eyed peas, leeks, spinach, and gourds, all of which are mentioned in the Talmud. 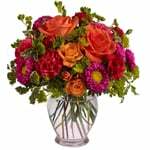 Pomegranates are used in many traditions to symbolize being fruitful like a pomegranate with its many seeds. Sweet Challah bread is made in a round shape as a reminder of the never-ending cycle of life and is usually eaten with honey; this is symbolic of good living and wishes for a sweet upcoming year. 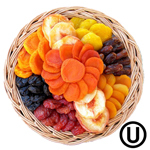 If you want to wish your dear relatives, friends, colleagues or business associates a happy and prosperous Rosh Hashanah, send them a kosher gift basket full of chocolates, cookies, cakes, fruit, honey and other traditional sweets that can be enjoyed by both adults and children. As with most Jewish holidays, food is the focus of Rosh Hashanah celebrations. Families and friends gather for extended meals, which include different kosher foods such as traditional apples and challah dipped in honey and other sweet sauces. 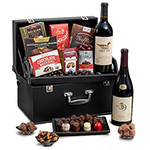 It's customary to send personal and business gift baskets for Jewish New Year that include various kosher gourmet treats along with sweets. A holiday cake, bottle of wine, or a plush toy for a kid will make a great addition to your gift. 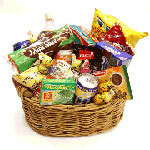 For those who prefer a healthy diet there are numerous trays and hampers with dried or fresh fruit and nuts. Many Rosh Hashanah gifts come in stylish re-usable baskets, which will be kept as a keepsake long after the celebration. Rosh Hashanah is an opportunity for reflecting on the year that has passed and setting goals for the year to come. 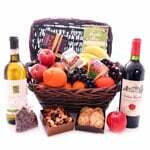 Treat your family, friends, and business associates in Israel or any other country to a wonderful kosher gift basket to wish them a 'shana tova'. 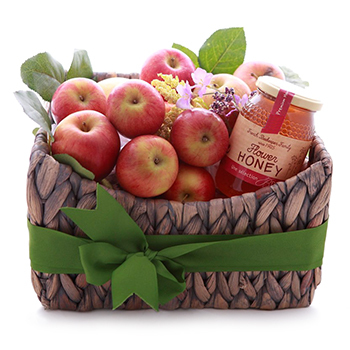 Rosh Hashana gift baskets are sure to convey your warmest, sweetest New Year wishes from across the miles.